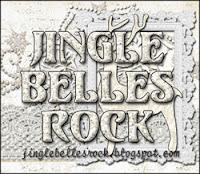 It's hard to believe that we've wrapped up yet another ♥JINGLE BELLES♥ season, but here it is November 30th (already?!) 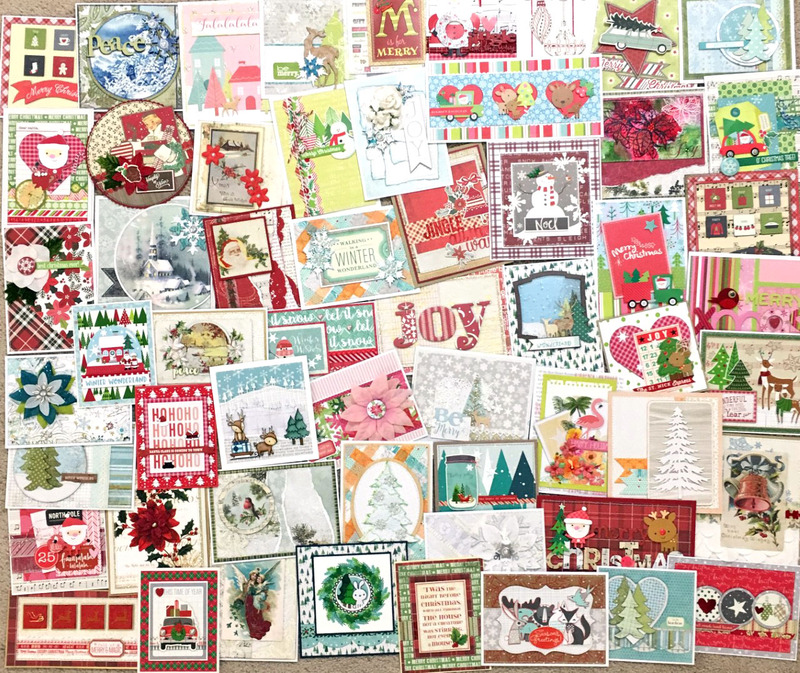 and we've been working towards this all year long, so we've got a pretty nice stash of cards built up. We're looking forward to spending December doing all the fun holiday stuff with our friends and family, and we hope you are, as well! Thanks very much for turning our Holiday card-making into something enjoyable and fun all year long. We'll be back again on January 1, 2019 to start this whole shindig over again, and hope to see you then. Meanwhile we wish you the loveliest of Decembers and the happiest of holidays! Remember, if you have prompt ideas, we'd love for you to join us as a Lovely Guest Star ... just send us an email jinglebellesrock@hotmail.com ...we really do love making this a group event. Thank you for a another year of wonderful challenges! I can’t wait to play along in 2019! 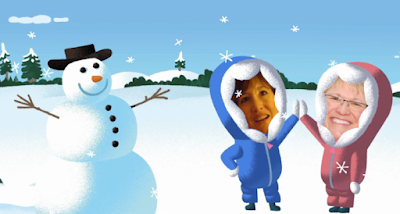 Thanks for a fun year of challenges - have a wonderful Christmas both of you! Your cards looks so pretty when photographed all together. Good job Stephanie and Lauren! I'm making a New Year's resolution to join in on the fun at Jingle Belles more often in 2019! ;) Happy holidays! 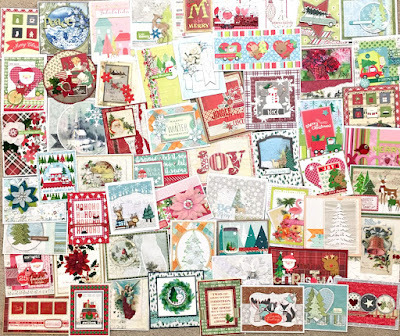 Sadly, I haven't made a single card for Christmas this year. Such good intentions...such bad follow through. Thanks to you, Lauren and Stephanie, for such great inspiration all these months! Wowzers, what an awesome stash! 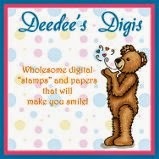 Fabulous job with your cards! I didn't really get going until this month but hope to do better in 2019. Will be looking forward to your challenges! All the best to you! What a lot of lovely cards! Thanks so much for all of the fun challenges this year & best wishes for Christmas & the New Year! Merry Christmas, ladies! Wishing you very happy holidays! 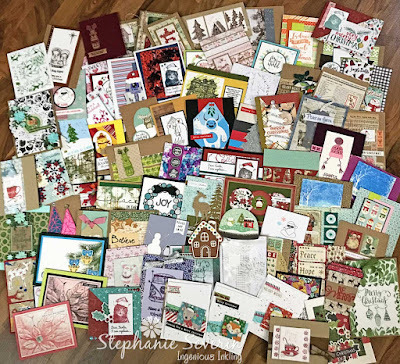 Many thanks to both of you for continuing this blog to help all of us finish our cards on time each and every year! Christmas blessings to you and yours for a wonderful season, and a very happy and blessed new year as well! See you in 2019! !